Having a companion can keep anyone healthy and sane. They love you unconditionally in a manner that suggests they would do anything for you. More often than less, that feeling of love is reciprocated and you would literally do anything for your pet. Even when times are tough, and your financial situation has seen much better days, you strive to afford the best for your pet and yourself. You may be worried about not only your well-being, but the well-being and safety of your pet. Don’t get discouraged! We’re here to help you and your furry, feathery, or scaly friend get through the hard times! This is the ‘Pet Owner’s Guide to Saving Money While Keeping Animals Happy and Healthy’! There are a huge variety of pets across the nation. While many of you kind humans out there take in unconventional friends from different backgrounds, we’re going to mainly stay the course with the usual pals that are home fixtures. Take a peak at some of the cost-efficient ways to ensure you and your pet are provided for. There are many responsibilities you’ll have when owning and taking care of your pet; being negligent to an animal’s health and overall happiness is even a felony in this country. Most pet owners, however, love their furry friend more than they love some of their extended family members. While you love your pet, here are some of the things you’ll need to consider when trying to figure out a financial and cost effective way of taking care of them. Sure, your buddy is going to be living with you, but where and in what way will they be the most comfortable? Having to think about this while also being fiscally conscious can seem like a problem. Fish live in filtered aquariums. Reptiles live in heated terrariums. While you can save on these by searching for second hand equipment, be sure to make sure it is properly sanitized and in working order. Nothing wastes money like having to buy the same thing twice. Dogs and Cats are comfortable living on all of your things, even though you’ll buy them a bed. For some people, this just means saving money on furnishings for your pet. Search around for what’s best for your pet in your price range. Your goal is to save money, but also in a way that ensures that they live a long and happy life comfortably. You may have your meal plan squared away financially, but maybe you’re at a little bit of a loss when it comes to your little friend from the animal kingdom. Pet food can get pretty pricy, especially if you want your animal to eat healthy and organic. It’s always a good idea to buy in bulk or one of the bigger bags—generally, you’ll save a lot more than just buying one at a time. Portion controlling your animal’s food, similar to the way you might portion out your weekly meals. A little bit of portion control keeps your pet at a healthy weight and can also help you save a bit of money by seeing how many servings you can get out of each bag of food. 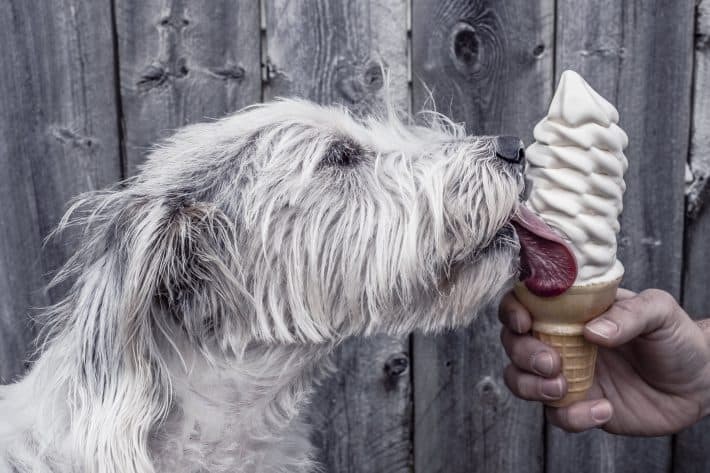 When it comes to treats (which all animals love), it may be hard, but you need to be frugal so that the animal doesn’t become spoiled or worse, out of shape. Try to only give your pet the extra snack maybe once a day or use them for training purposes only. You will save a lot on over-priced goodies. Getting your pet to exercise and play will not only keep them around longer, but also makes them happier. Cat toy makers seem to fail to make toys that keep cats entertained for long. Instead of spending a too much money at the store for a cat-specific toy, try making a safe one with a DIY project; if the toy is shiny or jingles, you should be okay. An inexpensive way to keep man’s best friend healthy is as simple as can be: the park. Whether it’s a dog park to keep them running around and socializing with other dogs or its just a park to play a game of catch, the park should offer you a place where you can have fun while saving plenty of money of in your pocket for things like day care. Your animal’s grooming is very important as well, and aside from trimming their hair, you should be able to take care of your animal’s nails and teeth from the comforts of your own home. Life happens and whether you’re working all the time or you need to run out of town, your pet may not always be allowed to come with you. Boarding your pet may prove to be challenging, especially financially. Some cheaper alternatives to pet care may including trading favors with friends and neighbors or even offering to pet-sit for them sometime! Now that you know what could possibly be done to save your money, where should you go to purchase goods and needs for your best friend? In this modern age, shopping online seems like the way to go for your pet’s every need. From scratching posts to fish bowls, everything seems to be a little bit cheaper while being of the highest quality. When it comes to food, however, it would be smart to sign up for a pet-store’s loyalty program that could potentially save you a whole lot of kibble at year’s end. We hope that some of these tips to care for your pet help you and you best buddy make plenty of memories over the years!